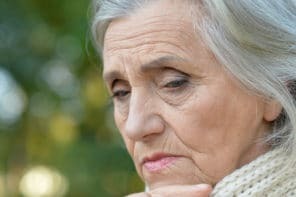 Caring for an older adult is a tough job that naturally causes a lot of stress. But a big problem with caregiver stress is that many caregivers don’t realize how stressed they truly are. That’s because stress is sneaky and often creeps up on you. It can do significant damage to your body and mind before you even notice. To prevent stress from building up unnoticed, we found a quick, free quiz from Health in Aging that helps you understand your stress levels. We explain why knowing your stress level is important, how to take the quiz, and how to use the quiz results to reduce stress. Caregivers often say “It’s ok, I’m fine, I can handle it.” or “My friend Joan is in a much more difficult situation.” Most of us are in denial about how much stress really affects us. There’s a story that says if you put a frog into a boiling pot of water, it will jump out immediately. But, if you put the frog in a pot of cold water and slowly raise the temperature, it won’t even notice the heat until it’s cooked. Many caregivers are like the frog in the story. Caregiving tasks, responsibilities, and stress levels increase over time. You don’t even notice until you’re completely overwhelmed, burned out, and suffering physically. To avoid being boiled alive like the frog, it’s important to be aware of stress levels and how they’re changing over time. That way, if you notice that your stress is higher than it used to be or it’s already off the charts, you’ll know when it’s critical to arrange a respite break or find additional caregiving help. Health in Aging’s 18-question stress quiz is a simple, fast way to keep an eye on stress levels. The quiz has 16 simple Yes / No questions about your situation and 2 basic questions about your current stress level and health. It’s important to answer these questions honestly. This is for your eyes only and helps you understand the reality of your situation. Your answers to the quiz questions help you figure out which issues you need help with or what’s bothering you most. For example, if you notice that many of your “Yes” answers are related to things like loneliness, overwhelm, irritability, and struggling with decisions, you might decide to join a caregiver support group, read books about coping with caregiver stress, and make it a point to call a supportive friend at least twice a week. Taking this test regularly helps you monitor stress and is a concrete way to see how helpful recent changes have been. Keep your tests so you can compare your scores over time to see if your stress levels are increasing, decreasing, or staying the same. I have been taking care of my mil who has mid stage LBD. What makes it tougher is she always has a scowl on her face. Plus, she speaks 10% English so taking care of her is quite difficult. I take care of her 60 hrs a week when it should only be 37 hrs a week. I ask the other siblings for help. They either ignore me, yell or say I am complaining. If it is suppose to be an obligation, I do not view such a task as this as something I will have to do when I get older. It is when you do the task because you want to not because you have to. I believe the quality of treatment will be excellent than just being minimal. To lose your former self physically and mentally to this task should never be expected. I will not give part of my life when the other person has already led a full life before getting LBD. In a religious aspect, “I am not God and I am very Fallible where God is not. If I make mistakes let them be on myself, not an 83 yr old woman who has LBD. It’s wonderful that you’re caring for your mother in law. I’m so sorry that her other children aren’t helpful. Perhaps it would help to have your spouse speak with them? If they’re not willing to contribute hands-on care, they could contribute in other ways, maybe pay for hiring in-home caregiving help to take the pressure off of you. You’re absolutely right that you also deserve to have a life and to care for yourself as well. I have been taking care of my mil who has mid stage LBD. What makes it tougher is she always has a scowl on her face. Plus, she speaks 10% English so taking care of her is quite difficult. I take care of her 60 hrs a week when it should only be 37 hrs a week. I ask the other siblings for help. They either ignore me, yell or say I am complaining. If it is suppose to be an obligation, I do not view such a task as this as something I will have to do when I get older. It is when you do the task because you want to not because you have to. I believe the quality of treatment will be excellent than just being minimal. To lose your former self physically and mentally to this task should never be expected. I will not give part of my life when the other person has already led a full life before getting LBD. From your comments it does sound like you’re stressed out and burned out. That doesn’t mean that you should stop being a caregiver. It just means that it’s time to get help with both physical tasks (get in-home help, try an adult day program, get help with chores / meals / cleaning, etc) and the emotional side (support groups, counseling, therapy).